For anyone not yet on the Netflix bandwagon or not planning to subscribe for Matt Groening’s upcoming Disenchantment, perhaps a new series by Cary Joji Fukunaga might tickle your fancy? Set to drop on September 21, Fukunaga’s highly anticipated return to TV gathers an absolute A-list roster for imaginative escapades. Jonah Hill and Emma Stone will play institutionalized characters in the midst of an experimental drug trial. The results look ‘trippy’ for sure. 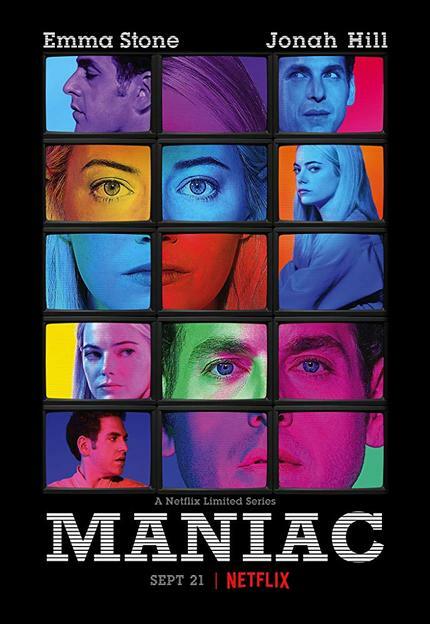 The True Detective season 1 helmer directs all ten episodes of Maniac's first season, which is written and created by Patrick Somerville (The Leftovers) and is liberally reinterpreting a Norwegian series co-created by Espen PA Lervaag.